I have a Kelly card to share with you today. Kelly is one of my downline and she lives in St. Albert. 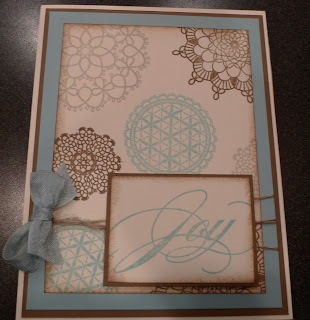 She has amazing projects and card classes. She made this cute card for our Coffee Talk swap. The stamp sets are Delicate Doilies and the Sounding Joy. 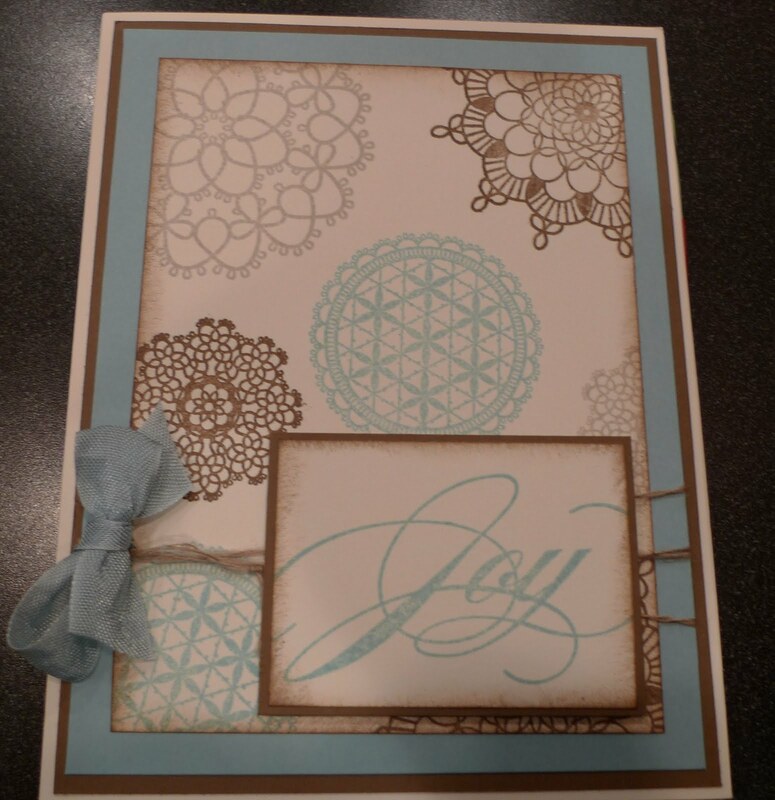 The card stock colors are Soft Suede, Baja Breeze & Whisper White. Isn't it pretty? I love this color combination.